Smug NBC Reporter Mouths Off To Sarah Sanders – BIG MISTAKE! Apparently, we should have all been dead by now. Whenever the GOP enacts legislation, any legislation, Fauxcahontas and her ilk stand up and say the world is going to end. Net Neutrality, the Paris Climate Agreement, trying to reign in any kind of spending, you’re basically suffocating children with pillows. So with that in mind, it’s no wonder Democrats are saying these tax cuts are the end of the world as we know it. 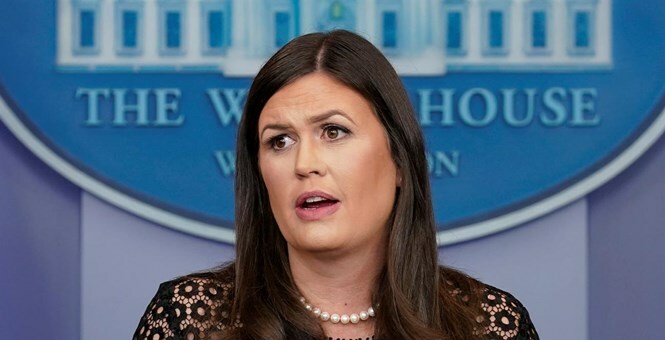 White House Press Secretary Sarah Huckabee Sanders pointed out a lot of the benefits when asked about the effect on Thursday. Sanders talked about the bonuses and raises many companies can afford in anticipation of the tax cut. One of those corporations was Comcast-NBCUniversal. Sanders rubbed it in Brian Stelter’s face on Twitter when he brought it up on Twitter. Ouch, does she need to call 911 for that burn? I’m bad at dad jokes, sorry. Sanders tries to score points on @kwelkernbc about tax cut bill: "Hopefully you’re one of the NBC reporters that’s getting one of those bonuses." It’s almost cumbersome to call out the leftists in the media and in Congress for their hyperventilating over every little thing. It weighs on my soul because they are never going to stop distorting the truth in order to advance their agenda. Creeping socialism, ever-increasing size of government, power, wealth, dominion, that is the name of their game. Most of these so-called journalists are just useful idiots with an IQ of the cost of a postage stamp. They are hypocrites who want to trample over your rights in the name of equality. Don’t let your kids near them.